Abby + Wes had the most beautiful elopement in Rocky Mountain National Park this summer, and I feel so grateful to have been a part of it. Abby and Wes exchanged vows and had an intimate ceremony surrounded by their closest friends and family at 3M curve. 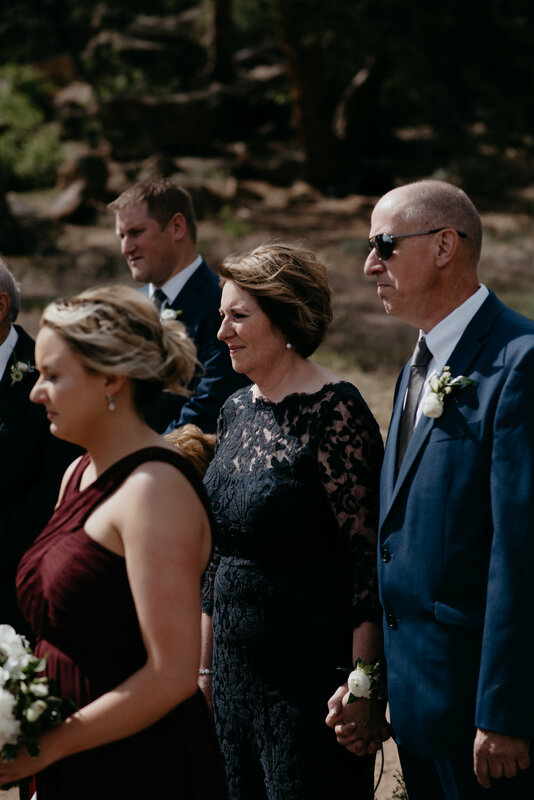 After the ceremony, we headed up to Trail Ridge Road for portraits and it was MAGICAL. The whole day was so full of love and I may or may not have cried several times throughout their vows. When Abby reached out to me out to me about photographing their elopement, we connected immediately and even before talking I knew we would be a great fit. Abby and Wes live in Chicago (where me and my hubby lived for two years!) and had planned out the big traditional wedding there. During their planning they realized it wasn't them or what they wanted, and decided to cancel their wedding back home and come to Colorado to elope in the Rocky Mountains. As much as I love big weddings, they are totally not the right fit for everyone and I love when couples are committed to making their day about them and exactly what their dream wedding is, whatever that might look like. 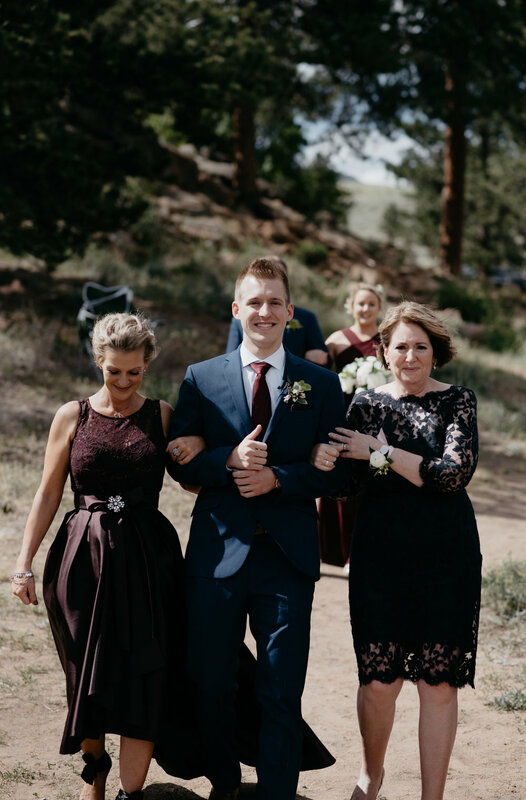 It was so fun to be a part of this time in their lives and help them plan their dream elopement here in Colorado. Abby and Wes met when she was the supervisor at the time at their job and on Wes's first day she had to train him. She said they only spent 5 hours together and by the end of the day it felt like they knew each other their whole lives. How freaking sweet is that? They knew from the day they met that they'd get married, and when they came on a trip to Colorado they knew it would be the perfect place to elope. "Having Alyssa as our photographer for our wedding was the best decision we could have made!! With our wedding being in CO and us living in Chicago we were a bit nervous but with Alyssa's help we didn't have to worry about a thing. She went above and beyond to help us in every aspect of our wedding. Not to mention, her pictures turned out absolutely gorgeous!! She made everyone in our party feel so calm and relaxed while she was taking pictures! The best decision you will make for your wedding is having Alyssa take your pictures :)"